Netherlands-based wonderkid Lateef Omidiji jr. appears to be heading towards a representational tug of war between Nigeria and the Netherlands. The striker, who likes to go by the name of ‘Junior’, currently plays for Dordtrecht’s U-14 side, is eligible to play for both nations, and if a recent interview is anything to go by, he could be set to make his decision imminently. Speaking about his own qualities, Junior describes himself, essentially, as the complete player, able to use both feet and thrive in an attacking or a defensive role. 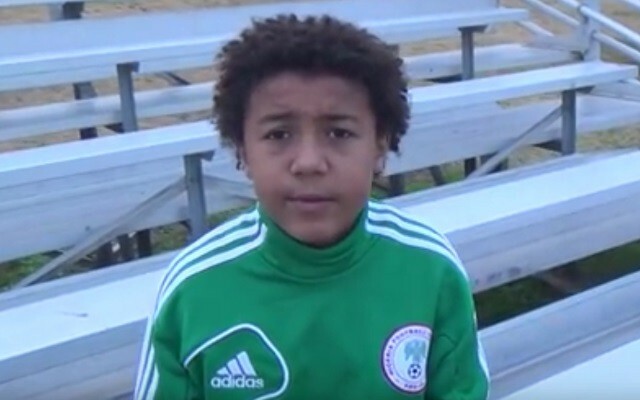 Omidji, like his sister Sophia Omotola Omidiji, who plays for FC Eindhoven Women’s team, the 12-year-old was born in the United States to a Nigerian father and an American mother. However, the youngster—speaking in a recent interview with Goal—has admitted that he is prepared to turn his back on the land of his birth and emulate his Nigerian heroes. Despite only being 12, Omidiji typically features alongside players two years older than him, and he isn’t there just to make up the numbers with the Dutch side, as this delicious video of the player’s technical skills.